Lean back and relax in the Sunset Chair. With a high, supportive backrest youll enjoy taking in the view from your back deck or a campsite while the sun sets (or rises). 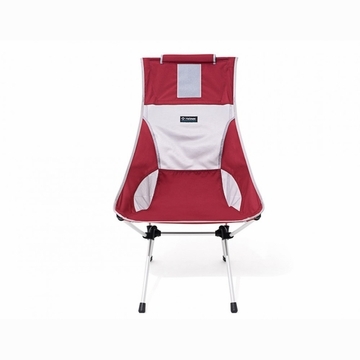 This chair is lightweight and designed for easy setup with a single shock corded pole structure. You are sure to be the envy of everyone on your next overnight trip. Helinox Sunset + Camp Chair from Big Agnes on Vimeo.